The 10 children rescued from a filthy, abusive California home were strangled, punched, shot with crossbows and subjected to waterboarding by their father and their mother did nothing to stop it, prosecutors said. Jodi Hernandez reports. 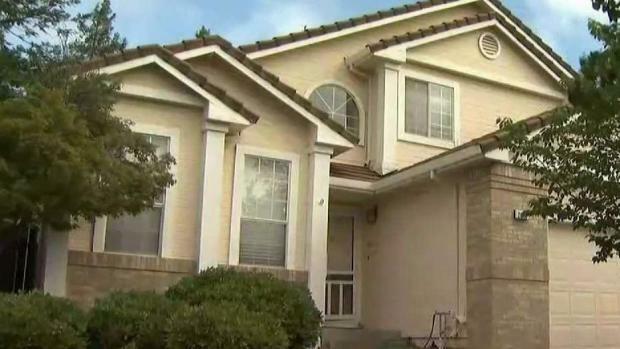 The 10 children rescued from a filthy, abusive California home were strangled, punched, shot with crossbows and subjected to waterboarding by their father and their mother did nothing to stop it, prosecutors said. 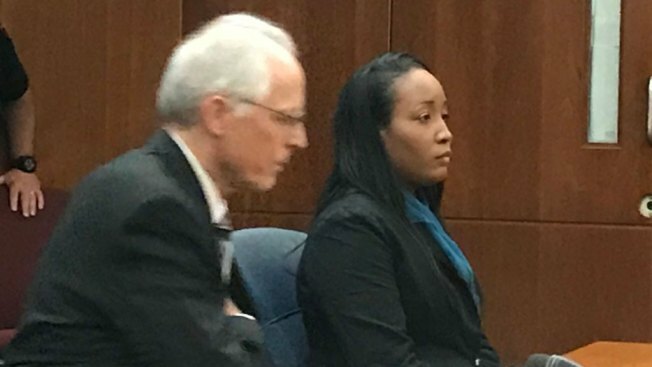 The details of alleged abuse were included in a motion to increase the bail of Ina Rogers, 31, who was charged with nine counts of felony child abuse Wednesday in Solano Superior Court. Rogers did not enter a plea, but has previously denied allegations her children were harmed. "On a continuous basis the children were getting punched, strangled, bitten, shot with weapons such as crossbows and bb guns, hit with weapons such as sticks and bats, subjected to 'waterboarding' and having scalding water poured on them," Solano County Deputy District Attorney Veronica Juarez wrote. Prosecutors have refused to discuss details of the allegations against Rogers and her husband Jonathan Allen, 29, who has pleaded not guilty to multiple counts of torture and felony child abuse. He is in Solano County Jail on $5.2 million bail. The motion states that when Fairfield Police arrived at the two-story house in a suburb 46 miles (74 kilometers) northeast of San Francisco on March 31, they found the children "huddled together on the living room floor" in a home littered with feces and trash. "The children appeared to be skittish and spoke with speech impediments," she said. Officers removed the 10 children, ages 12 years to 4 months, from the house. Juarez alleges Rogers assisted in the abuse and "dissuaded the children" from reporting their injuries, which include broken arms. Prosecutors would not elaborate on the accusations or children's injuries. On Wednesday, Judge William J. Pendergast set bail at $495,000 for Rogers, saying she "may not be a danger to the public at large, but these charges make clear she is a danger to the children." It's unclear whether any California government agencies had an opportunity to intervene sooner or knew of the turmoil in the household. Solano County court records show that Allen was charged with four felonies in 2011, including corporal injury, assault with a firearm and criminal threats in a case involving his wife, identified by her initials, I.R. Prosecutors alleged Allen used a .22 caliber revolver in some of the crimes. He pleaded no contest to corporal injury as part of a deal with prosecutors. He was sentenced to 180 days and three years of probation. Prosecutors dropped the other charges. Rogers told reporters that she had one prior interaction with child welfare officials when her mother "had mentioned something" that prompted a home visit. Officials took pictures of the children and interviewed them individually, she said. "Nothing was founded, my kids were placed back with me," she said. Solano County's Child Welfare Services department officials did not immediately provide information on details about the visit or other interactions they may have had with members of the household. Ten children have been removed from "horrible living conditions" in a home in Fairfield, California, after some told police about enduring abuse in the home that resulted in puncture wounds, burns, bruising and injuries consistent with being shot with a pellet gun, police said Monday. Pete Suratos reports. Rogers says she home-schooled the children, but the two-story Fairfield, California, home was not registered as a private school and neither were three prior addresses where the family lived in Fairfield and Vallejo, according to the California Department of Education. California law requires children to be enrolled in public school unless they meet specific exemptions, such as documented attendance at a private school. Parents who teach their own children are required to register with the state, but the state does not approve, monitor or inspect them. The Fairfield-Suisun Unified School District had no record that the students attended any school in the district, said Tim Goree, a district spokesman. Police responding to a missing juvenile report found a home filled with rotted food and human and animal waste, Fairfield Lt. Greg Hurlbut said. Police removed the children and arrested Rogers on suspicion of neglect. She was released after posting $10,000 bail. Stories about the alleged abuse came out gradually in interviews with the children over the past six weeks and eight of the children told professionals about incidents dating back several years, authorities said. Rogers was taken into custody after the hearing. Her court-appointed attorney, Barry Newman, declined comment.